Based on the extremely capable M-900iB/360, the M-900iB/280 features a completely redesigned J3 arm to provide maximum stiffness. 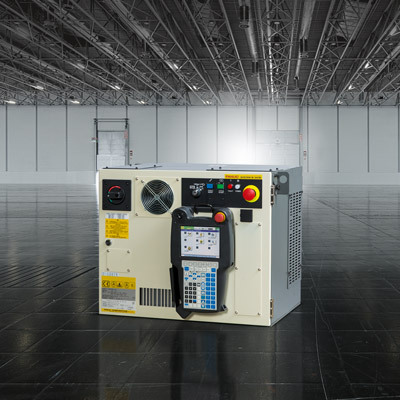 The M-900iB/280 has been tested to ISO 9283 rigidity standards and exhibits a very high level of static compliance. This makes it ideally suited to operations where pressure is applied to the tool and accuracy essential. 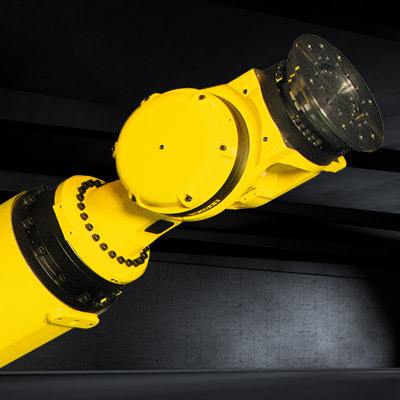 The M-900iB/280 has been purposely developed for flow drill screwing and roller hemming, as well as a range of other applications that demand enhanced rigidity from a robot. This model comes with ceiling, floor, angle and wall mounting options where space is a concern. 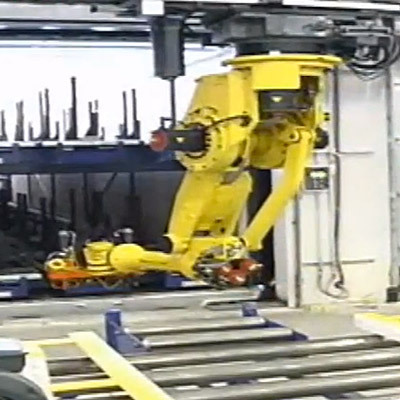 Six axes provide the tool dexterity required to reduce cycle times on operations such as roller hemming. 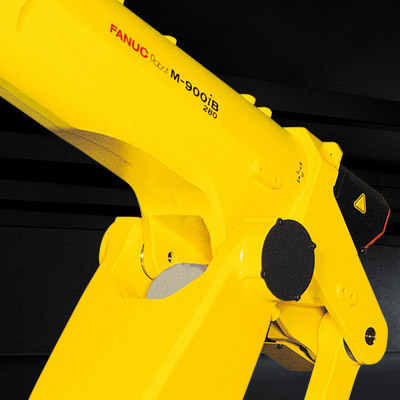 Get even more out of your industrial robot with tailor-made FANUC accessories and software options such as the SpotTool, iRVision or Dual Check Safety (DCS) software. 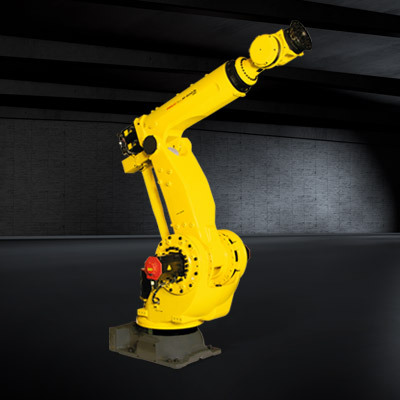 Make your robot smarter and capable of self-improving productivity using the unique Learning Vibration Control. Additional robot base, drive train and J1 J2 axis protection kit available to provide dust and water protection. J3 arm and wrist come with IP67 protection as standard. 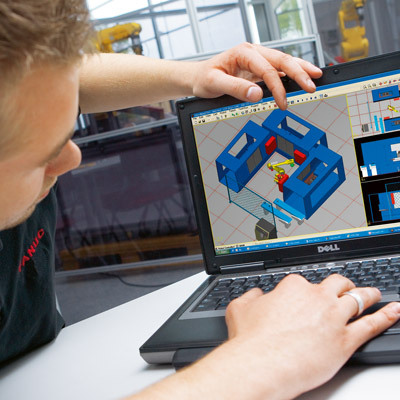 Using RoboGuide software we model your production activities. That way you see exactly what you get, how it works and the benefits for productivity, cost and cycle times. 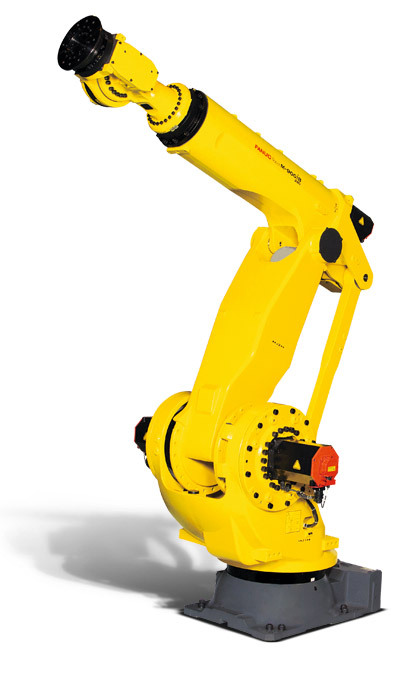 For applications requiring an extended reach, check out the long-arm version of this 280 kg payload model.